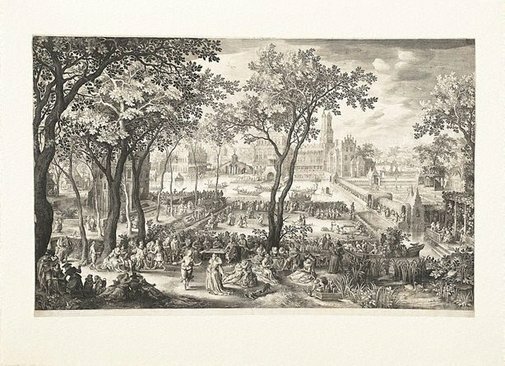 Through the engravings of Nicolaes de Bruyn, the imaginary landscapes of David Vinckboons enjoyed considerable popularity in the southern and northern Netherlands around 1600. This country-house idyll features a spectacular castle seen across a lake, with elegantly dressed couples disporting themselves amorously beneath the trees. The composition was made to a set formula that bore little relation to reality.